Sometimes the simplest learning games include more than you realize at first glance (such as word searches). 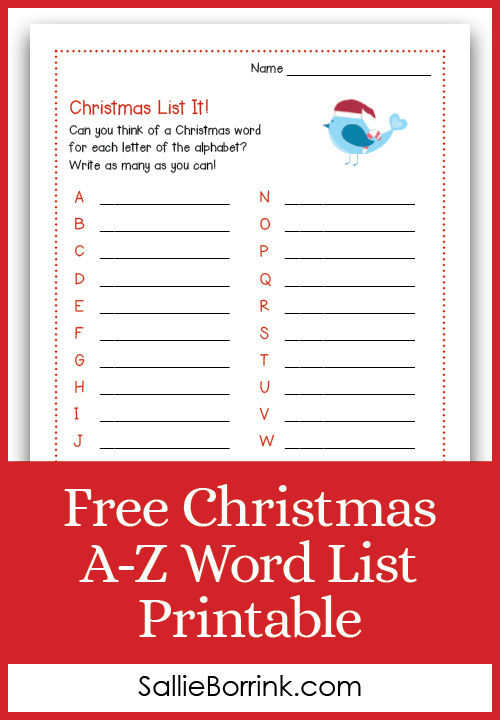 That is also the case with this free Christmas A-Z word list printable game. 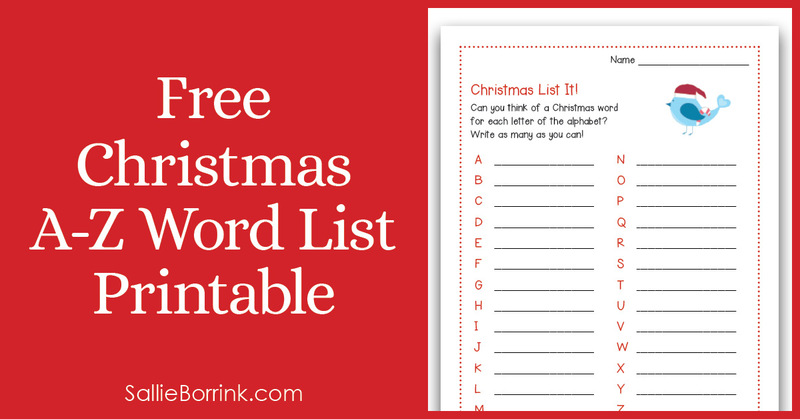 It includes brainstorming, vocabulary, spelling (if you wish), and more. The premise is simple. 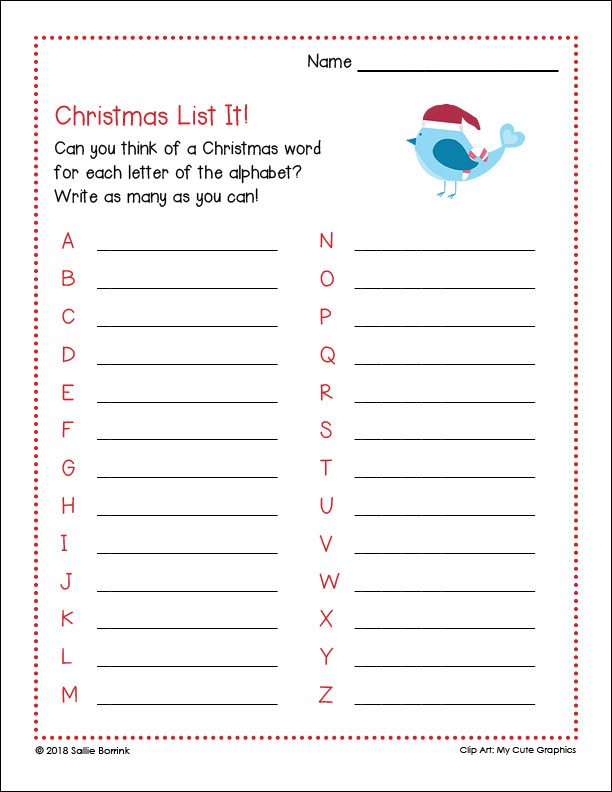 Think of a Christmas word for every letter of the alphabet. Many are easy and others require some thinking! This is an activity that can easily be adapted to your child’s learning level. If your child is younger or struggles with writing, have him tell you the words and you record them on the page. The goal is to have fun! The Christmas List It! is free only for personal use with your child or in your homeschool family. You may not share, post, embed, or otherwise distribute this printable in any other place or via any other medium. If someone else would like a copy, please direct her to this post so she can download her own copy. If you would like to use this in a classroom, co-op, daycare, etc. 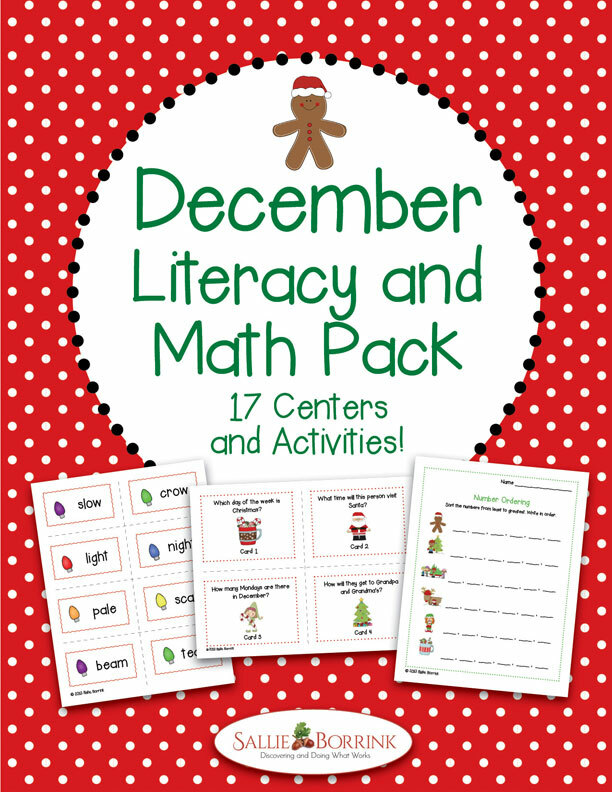 please purchase it in the December Literacy and Math Pack in my printables shop. To get your copy, simply click on the graphic below. It will launch the PDF which you can save to your computer. You can then make copies as needed for your family.